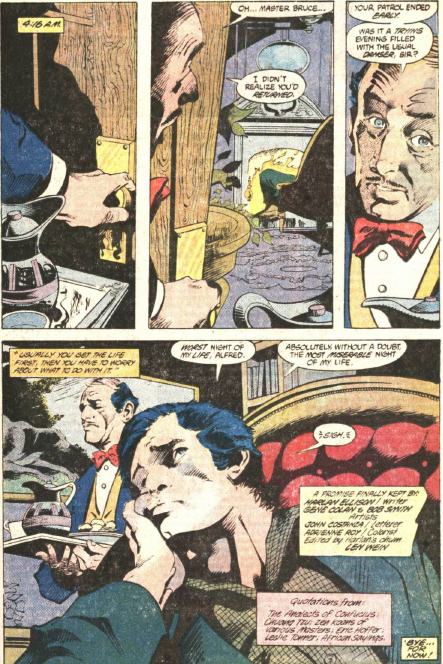 Acclaimed science-fiction writer Harlan Ellison scripts the Gene Colan Batman story in Detective 567 (Oct. 86), the final issue to deal with the pre-Crisis Batman. It’s a hilarious read. We follow Batman on an untypical night. A night in which shopkeepers and old ladies are able to defend themselves. A night where a potential mugging in a park is really just some kids running around after a concert. 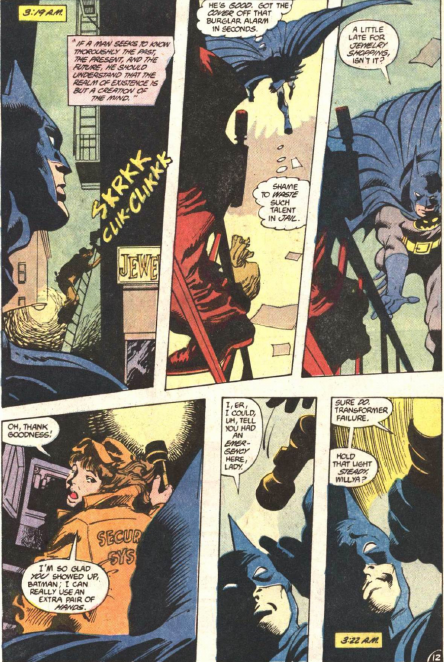 Every “crime” Batman spots turns out to be something else, and the most use he proves during the evening is holding a flashlight for a repairman. What I find very interesting, though, is his comment to Alfred on the last page about it being a bad night. Usually Batman defends his eternal mission by saying that he is trying to being peace to Gotham. But in this story, when he is not needed to do that, instead of rejoicing, relaxing or celebrating, he is miserable and depressed. Joey Cavalieri and Stan Woch bring Green Arrow’s series to a conclusion in this issue, as the mystery villain unmasks. His identity is no clearer for that, but he does look scary. 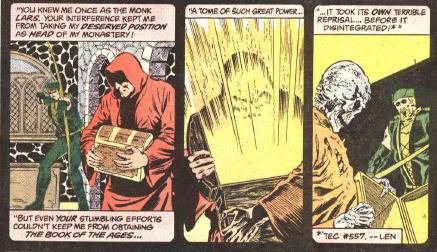 Understanding that his skull is not instantly recognizable, he helpfully explains that he was the one behind the assault on the temple, who seemingly died when he found the Book of Ages. But he didn’t die. He’s back. And he’s calling himself Barricade now, for no particular reason. Who cares, he looks cool and this final story is a big fight scene, as he takes on Green Arrow, Black Canary and Onyx. And that kid who had been putting up with Onyx for far too long finally looks about to get some action out of it. Although it is odd that the series ends on these two, instead of on Oliver and Dinah. Of the three, Black Canary is the next to appear, almost immediately, in the pages of the crossover miniseries Legends, which leads into the new Justice League. Green Arrow does not appear at all for almost a year. 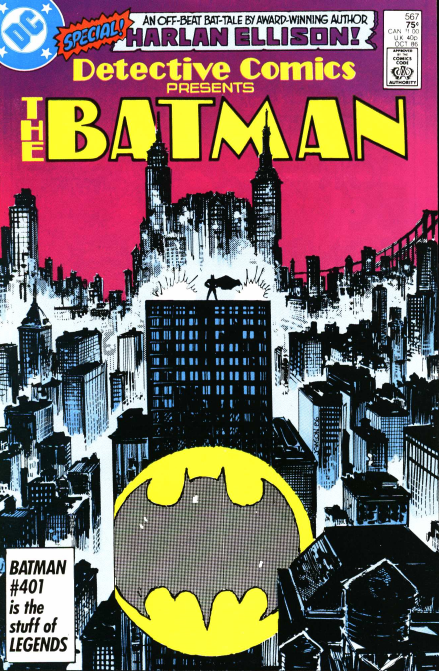 A future version of him shows up in Batman – The Dark Knight Returns, and a few months later he gets his own miniseries, the Longbow Hunters, which launches his own book. 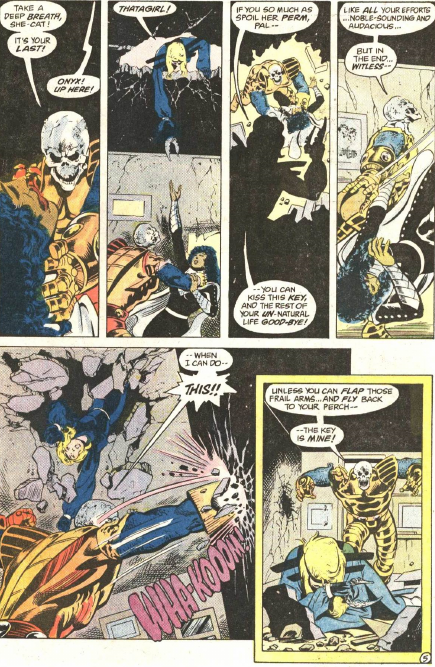 Onyx does return as well, but not for an awfully long time. I’m not 100% sure where and when she does return, though I will find it, but by the time of War Games, she is part of the Batman universe, working with Orpheus. And that ends this blog! Not that it ends me writing about DC Comics, but the media library is 97% full. 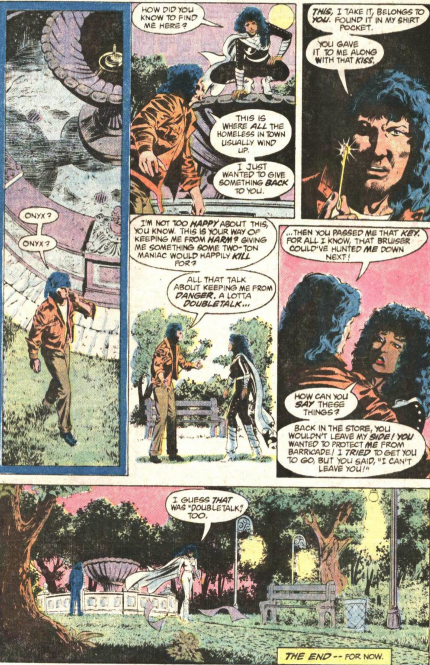 I chose to cut it off here as the next issue is a Legends crossover, and part of the post-Crisis universe. This story falls sort of between the pre- and post- Crisis worlds, but contained the end of the Green Arrow run. 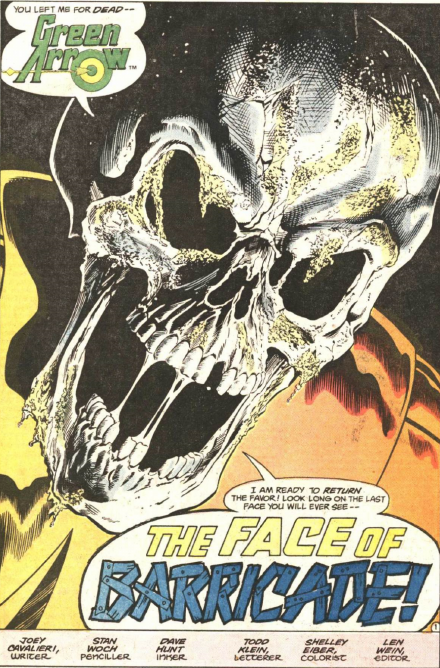 So I am starting a new blog, Babblings about DC Comics 2. I will finish off covering Detective, and then move on to Action Comics. That had even more issues than Detective, so I am not certain I will get all the way through it in the second blog, but I’m hoping to. Where is your new site? it’s on wordpress. Havent had internet for the last few days, so haven’t been able to start it. I should havethe first few posts going up tomorrow! I didn’t know Harlan Ellison wrote the last pre-Crisis Batman! Interesting. No ‘Whatever Happened to the Man of Tomorrow’ I’m sure, but sounds interesting. Was it ever reprinted? No, it never has been. 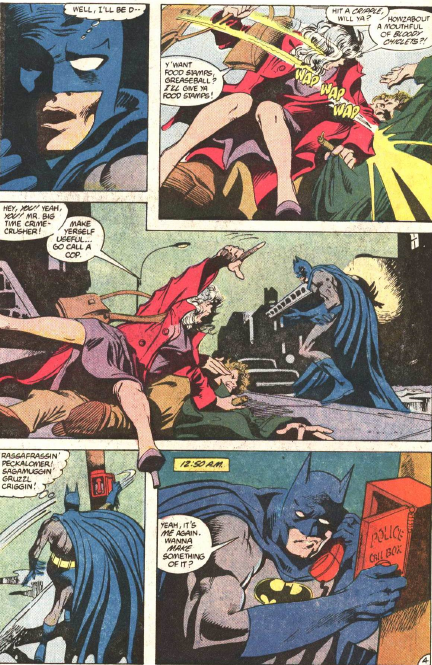 The art is by Gene Colan, and DC did release a volume of his Batman stories. It’s labelled volume 1, so presumably if they continue the series, they will get around to it.